There are numerous options when it comes to cooling your home. Central air conditioning units can efficiently cool your entire home, but if you only need to cool a single room, you might want to consider installing a window air conditioning unit. Some window units can be supported by the window frame and do not need to be braced, but if you are concerned about safety, you can install a homemade brace for your window A/C unit. Window units must be properly installed to provide safe operation. 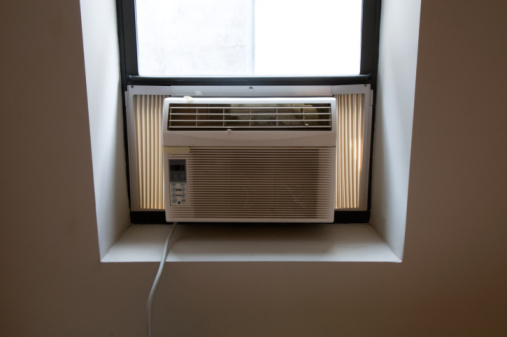 Most window air conditioning units are typically designed for double-hung style window openings, where the blower vents face into the room and the condenser side hangs outside. Some manufacturers produce window units that will work for sliding windows. Make sure you purchase a unit that will work for your window type. Window units usually require a dedicated electrical circuit, so you should locate the unit in a window that is close to an electrical outlet. You should not use an extension cord. 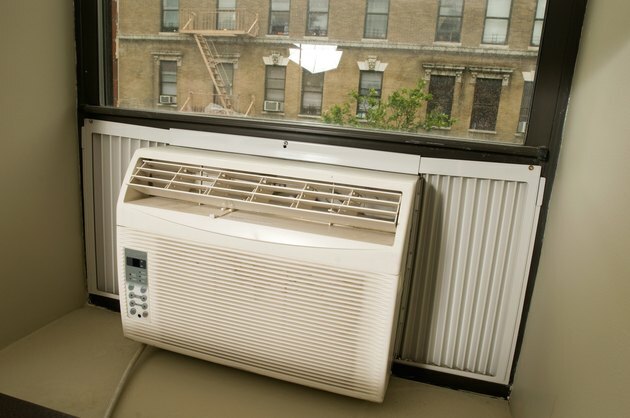 The size of the window air conditioner that you select will typically determine whether the unit needs to be braced. Many manufacturers will include a brace if one is required. Always follow the manufacturer's instructions regarding bracing your window unit. If no brace is included with your unit you can make one out of common building materials. 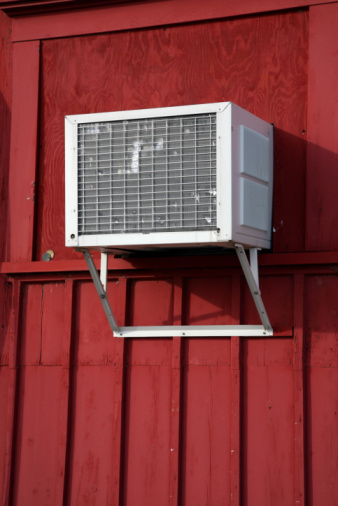 There are three primary components to most homemade window air conditioner braces. The unit brace is a strip of wood or metal that you screw into the bottom rear of the air conditioner casing. The wall brace is a strip of wood or metal that you attach to the exterior wall beneath the window unit. The support arms are pieces of wood or metal that are angled between the unit brace and the wall brace. You can use L brackets as an alternative to a component brace for your window air conditioner. You can purchase L brackets at most hardware stores. Ensure that the brackets are of sufficient length and strength to support your window air conditioner, and attach them to the exterior wall immediately beneath your window unit, so the unit rests on them. You may also secure your window unit from above using a length of chain attached at the top rear corners of the unit and securely attached to the exterior wall above the unit at a 45-degree angle.